Want a more organized way to look at your Google Analytics data? 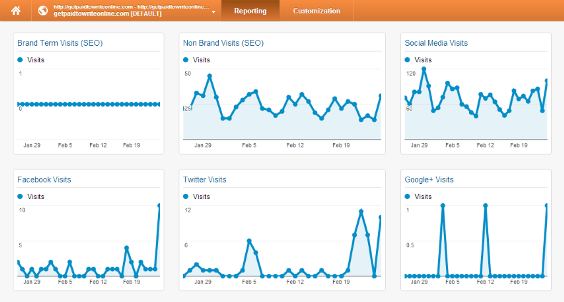 Custom dashboards in Google Analytics could be the answer. Google Analytics collects a lot of data but if you want to make the most of it you need to visualize it in the way that has most meaning for your business. That’s what Google Analytics custom dashboards are for. These dashboards provide a way to look at the metrics and dimensions that you really need to understand what’s happening on your site. 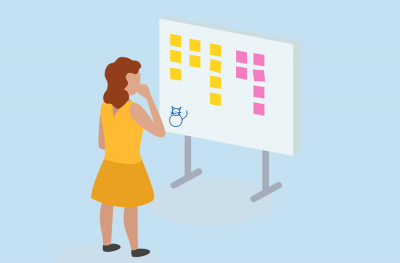 Setting up a dashboard from scratch could be a bit of a headache, but you don’t have to. There are dozens of custom dashboards you can import into your Google Analytics profile with just a couple of clicks. Here are a few to start with. which hubs are most important to your brand and more. Grab the brand monitoring dashboard here. If you’re using this dashboard, there’s a little bit of setup work to do: you’ll need to put your brand name into the widget. Your brand name is essentially a phrase, so in theory you could also use this to track a particular keyword phrase associated with your brand. 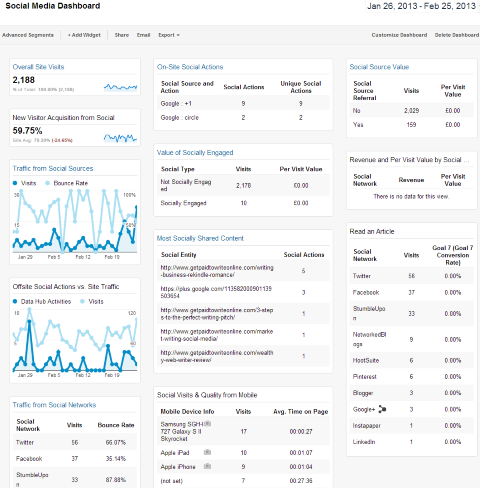 Use this dashboard to see how effective your brand marketing is in driving people to your site. 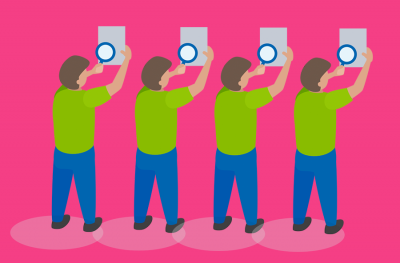 Want to have some idea how your site ranks for quality? You might, because it will affect search engine positioning, traffic and more. That’s where this dashboard from Mike Meisner comes in. 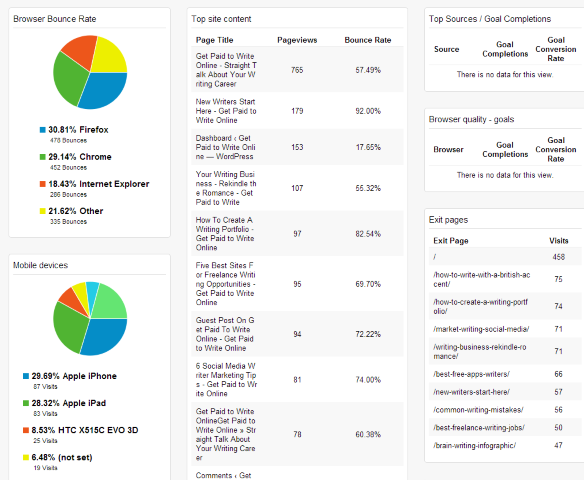 goal sources and completions, browser quality and exit pages. Use this dashboard to drill down into the variations in user experience depending on the browser and platform and see how this ties into the conversion rate on site. You will likely find design and UX issues that are driving positive or negative ROI on your website with this custom dashboard. Use this dashboard to investigate your social presence online and establish where you are having an impact, what’s driving that impact and how you could improve. Grab this dashboard from Justin’s site. Grab it here and be sure to check out the detailed explanation of the widgets. which search engines and sites are most important in your network. Use this dashboard to improve the value you offer to blog readers and to get rid of the factors that drive them away (such as no mobile interface or responsive theme, for example). See our infographic called How Consumers Use Mobile in the Marketplace to find out why this is important. OK, so it’s a bit nerdy, but you’d be surprised what a difference understanding these metrics will make when deciding how to optimize your site. Grab it here. Portent says it has The Perfect Google Analytics Dashboard to give you a snapshot of business health over time so you know what to look at in more detail. 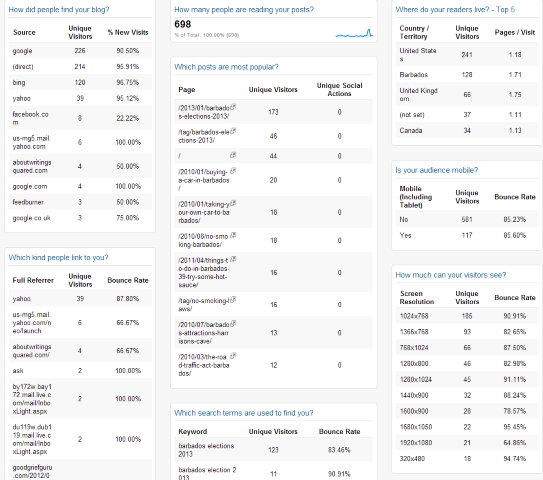 It’s also worth checking out the site’s analytics category. SEOBooks shows how you can use similar data to that in the dashboards to create custom reports: Maximizing Google Analytics Insight for SEO with Custom Reports. Blue Riot Labs provides three dashboards and an email report looking at SEO, searches, top content and comparing time periods. 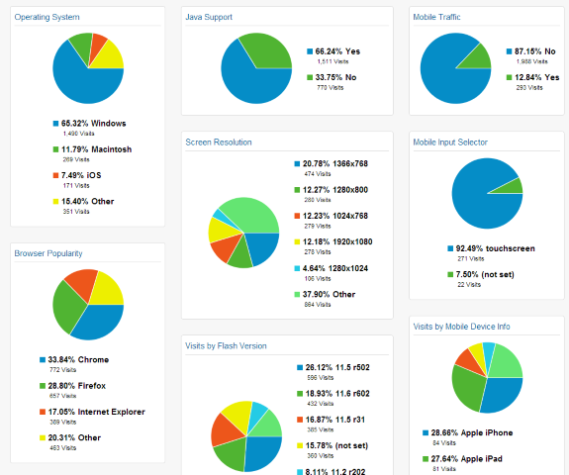 Avinash Kaushik, recently featured in our list of must-read analytics blogs, has some awesome custom web analytics reports. Share your favorite analytics dashboards in the comments.